Looking for a New Apartment for the New Year? 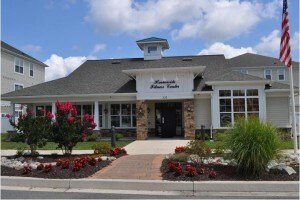 If you’re looking for great living in Harford County, look no further than Harborside Village! Look no further! The beginning of a new year is a great opportunity to start fresh in all aspects of your life; people make resolutions to commit to a healthy lifestyle, to get organized, to change careers, and so on. To achieve all of this and more often requires a change of venue, so leave your old apartment in the past and make 2016 the year of your brand new luxury apartment at Harborside Village! Making the move to a luxury apartment can help set you up for a year of success no matter what your goals are. Your environment plays a big role in your attitude, which in turn can affect how well you do in all areas of your life. And your attitude will never be better than when you are surrounded by the luxury amenities afforded by a Harborside Village apartment! Those same amenities can help you reach your New Year’s resolutions for a better life in other ways as well. For instance, do you want to shed a few pounds or simply adopt a more active lifestyle? You’ll have full access to Harborside’s state-of-the-art fitness center, plus you’ll be mere minutes away from some of the best outdoor hiking and biking trails Harford County has to offer at Mariner Point Park. Or perhaps your goal for the new year is to learn a new skill, such as cooking. If so, fire up your gas or electric stovetop and get creating the next great culinary masterpiece! Many people put “getting organized” at the top of their New Year’s to-do list; you can do that easily with the spacious rooms and additional storage space provided by luxury apartment living. No matter what you plan to accomplish in 2016, a move to Harborside Village is the first step towards meeting any and all of your goals. Get in touch today for leasing information! This entry was posted on Sunday, December 13th, 2015	at 7:21 pm	. Both comments and pings are currently closed.